Andrew Thompson explores, explicates, and argues for doctrinal preaching as a key to renewal. Doctrinal preaching as I began to think about it in my preparation to preach at annual conference would accept that we in the present have much to learn from our ancestors about the interpretation of the Bible and the core elements of faithful discipleship. And doctrinal preaching would also stand against the liberal individualist temptation to think that faith is about each of us figuring out what we want to believe in order to gain a sense of self-authentication. In short, doctrinal preaching, I came to believe, ought to be about reinvigorating the meaning of doctrine as “sacred teaching” vital for the present, which has been handed down to us by the saints who have gone before us. No. The greatest recorded growth in the Christian faith in the USA was during the time of the Second Great Awakening and after. Charles G. Finney took a clear stand against doctrinal preaching and I believe he was correct. Learning doctrine is not the same as learning the practices of the faith. it is not the same as discipleship. But, it gives the illusion of discipleship. Knowledge puffs up. Love builds up. Doctrine is important but secondary. Scripture, prayer life and service come first. Finney believed that doctrinal preaching hardened the heart against God. So, Finney was not opposed to doctrine, but doctrinal preaching, yes? How did he suggest Christians learn doctrine? Or did he not want them to? Right. He wrote an entire Systematic Theology, so he was not opposed to doctrine as such. He was opposed to preaching that would harden people’s hearts. People still need to hear the Scriptures related to life. This is part of the first-order information we need to encounter in order to grow. Doctrine is the organizing of Christian teaching. It is second-order information. It can be helpful if you are already keeping yourself in the Word and in prayer — and in service to others. As I reflect upon this, it seems to me that many of Wesley’s sermons could be considered doctrinal. He did not preach expository sermons or narrative story-telling sermons. Do you agree with my conclusion, John? 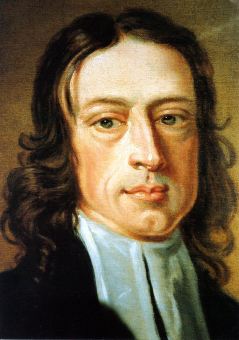 If so, then we have some evidence that doctrinal preaching can lead to revival as it did in Wesley’s time. I certainly do not see most of his sermons as expository or narrative — not by a long shot. You might argue some are topical, although around a fairly narrow range of topics. It certainly feels as if doctrinal is a fair was to describe a great number of his published sermons. If they reflect what he actually preached, then that would be a case. ….“Free-will” is overruled by the Free- will of God alone, just as He pleases: but that, God-ward, or in things which pertain unto salvation or damnation, he has no “Free-will,” but is a captive, slave, and servant, either to the will of God, or to the will of Satan.
. — “WHO (you say) will endeavour to amend his life?” — I answer, No man! no man can! For your self-amenders without the Spirit, God regardeth not, for they are hypocrites. But the Elect, and those that fear God, will be amended by the Holy Spirit; the rest will perish unamended. Nor does Augustine say, that the works of none, nor that the works of all are crowned, but the works of some. Therefore, there will be some, who shall amend their lives. “Who will believe (you say) that he is loved of God?” — I answer, no man will believe it! No man can! But the Elect shall believe it; the rest shall perish without believing it, filled with indignation and blaspheming, as you here describe them. Therefore, there will be some who shall believe it. Total depravity as Luther and Calvin believed or what Finney taught?